FENAVIN, which will be taking place in Ciudad Real on the dates of May 7th to May 9th is already considered an important date in the agendas of all those responsible for national sales and exports in the Spanish wineries and likewise in the designations of origin that provide coverage to the same. Proof of this is that the space set-up for development of the tenth edition of the National Trade Fair on Wine, that is a total space of 33.346 square meters, is already fully occupied by wineries that have requested space for their stand, these covering all of the country’s designations of origin, a total of 2.224 wineries that have duly complied with all registration requirements, although the spaces are still to be awarded on the part of the Trade Fair’s organization and quite likely there will be just a few less offering their wines in a direct way. Precisely the main Spanish designation of origins are the ones that coincide in pointing out that attendance at FENAVIN is absolutely “essential”, underlining its “professional, effective and eminently practical” profile as the basic reasons for this. For example, Erika D. Laíño, Representative for Communication and Promotion of the Ribeiro Designation of Origin that has been in attendance at FENVIN since 2009, has assured that “the wineries of the oldest designation of origin of Galicia wager on this national event with international projection as one of the essential trade fairs”. As underscored by Laíño, “participation at this trade fair has always rendered very good results for those wineries in attendance, as there are only wines and distilled drinks and the trade fair is only visited by professionals from the industry, both at a national and international level. The wineries consolidate their relationships with their importers and meet new ones without even having to move from one different place of the world to another”. In a very precise way she also underlines how the ‘Contact With…’ Program works, “as it optimizes contact between producers and buyers, offering the capacity to organize a complete agenda between all those initially interested”. On the other hand, in that pertaining to the Galician wineries, the Wine Gallery “is another strong point, where buyers can get a pretty good idea of the products from all of Spain and, if they are interested in any specific product, all they have to do is visit the stand of the winery they are interested in and obtain firsthand knowledge of the same. Cosme Gutiérrez, veteran President of Valencia Designation of Origin, also comments along these same lines, indicating that they have been participating since the very first edition, hence their wineries consider themselves as “foundational attendees”, tongue in cheek of course. This is so much so that from four wineries that attended the first edition, they have gone to 25 wineries this year. “Year after year I have to request more and more space” he finally comments. Hence, due to all of this “our assessment of the trade fair is more tan positive: it’s extremely positive”, Gutiérrez points out, while in turn recalling that the wineries that belong to the designation of origin that have been able to attend these last few years “all comment that it is the very best trade fair in Spain and one of the best in Europe, and when we inform that the registration period has opened, they all scramble to get into position and get their space. And every single time they come they make more new clients. And the reason for this is that the organization is impeccable”. In this sense he wants to highlight that, due to his experience of decades in the world of wine, “this is the most professional trade fair in all of Europe, because a great effort is put into guaranteeing presence of many many buyers, which is precisely what the wineries want. The fact is that this is not an exhibition trade fair, but an absolutely professional trade fair: the wineries work an awful lot during three days and that is what they are really actually looking for”. Another of the great protected designations of origin of the country, Navarra Designation of Origin, returns to the trade fair after having participated in its first edition, this time with 17 wineries. The Manager of the designation, Jordi Vidal, underscores that “the perception of the trade fair at the time was highly positive and it is precisely the experience of these years visiting the trade fair and the demand of our wineries what has made us want to repeat the experience, because they consider FENAVIN in a very optimistic light”. In the opinion of Vidal, two of the trade fair’s strong points are the large attendance in that referring to the international buyers program with which it currently counts and the Wine Gallery, as a great showcase, “apart from the fact that we consider its biennial nature to be in favor of a high degree of participation of buyers”. The goal behind their presence at the trade fair this year, he explains, is to “outline the validity of the designation of origin as a reference in both the national and international scope, apart from allowing co-exhibitor companies to trigger their commercial contacts and consolidation or extension of their distribution network”. Likewise, he considers the possibility that the trade fair offers for “development of public relations with the different actors on the current wine industry” to be of great value. Another of the insignias of Spanish quality that has wagered on FENAVIN to sell their wines, from the very beginning has been Grandes Pagos de España. As reminded by its Manager, Beatriz Fernández, “FENAVIN has been gaining in importance throughout the industry, both at a national and international level, to the point that currently it has consolidated itself as the trade fair of reference”. Continuing along this line, Fernández has pondered the capacity of the trade fair “to gather together and connect the national and international industry at the same time, with the size of the trade fair itself being highly agreeable and simple and easy to use”. She also points out that “for us FENAVIN is the only trade fair in Spain that is exclusively dedicated to the wine industry and that is directed at both types of attendees: national and international”. On the other hand she underlines that “being at FENAVIN is very interesting for us because it offers the possibility of presenting our wineries and, it also offers all sorts of support in our mission to promote and spread the concept of Spanish Vino de Pago to both the professionals of the industry, as well as to the consumers, thus representing a philosophy of work and elaboration that characterizes us, as it gives rise to unique wines with great personality and excellence”. Another of the country’s great designations of origin, Toro Designation of Origin, points out that FENAVIN’s differentiating factor with regards to other important wine related events “is the massive attendance of international buyers and the resulting potential operations that arise”, as is pointed out by the designation’s Manager, Rubén Gil Alfageme, who also underscores the “clearly international” nature of the trade fair. In this sense he highlights that the Toro Designation of Origin wineries are in search of “extending their scope of action and the international presence of our wines on foreign markets, thus it is of vital importance for our interests that the delegations of international buyers be professionals and cover all sorts of different products, markets and prices, so that, logically, the entire offer of wine that is present at the trade fair can enjoy real opportunities and options for the commercialization of their products abroad”. On her part, the President of the Bierzo Designation of Origin, Misericordia Bello, a protected designation of origin that has been working at the trade fair since its 2015 edition, underlines that their wineries “have taken great advantage of their prior presence, given that FENAVIN has offered the possibility of meeting with buyers from around the world and also offering the possibility of actually closing business deals. In fact, I am quite aware that important business transactions have been reached at the trade fair”. Bello underscores FENAVIN’s international nature “which provides us with the possibility of setting-up interviews with time, given that we go to the trade fair with closed work agendas and this is most certainly not the case with other trade fairs: where one is in charge of doing all this on one’s own”. For the third consecutive edition this designation of origin has requested an institutional stand for their wineries, as they want to promote a corporate image, “and at the very moment when we announced that we would be going to FENAVIN, all of them immediately registered and we filled-up the space we had assigned”, something that is a good sign and that underlines the effectiveness of the trade fair. On their part the Vinos de Madrid Designation of Origin, which has been in attendance since the very first edition, defines FENAVIN as a trade fair that “is clearly practical in as far as contacts are concerned, thus it is not actually a showcase: it is a work center where wine is promoted”. This designation of origin’s goal for this edition, as highlighted by their Representative for Marketing and Communication, Elena Arribas is “to not waver on the rhythm and rate achieved in other editions and ensure that those wineries attending for the first time will perceive this movement around wine that the trade fair generates at a national level”. The Canary Islands Designation of Origin has been attending FENAVIN since the same year that it was granted the protected designation of origin in 2011, and always hand-in-hand with the Canary Islands Institute of Agro-Food Quality, which this year will be bringing in to the National Trade Fair on Wine a total of eleven designations of origin from this insular territory: the Canary Islands Designation of Origin itself, the Ycoden Daute Irsora Designation of Origin, the Valle de la Orotava Designation of Origin, Lanzarote Designation of Origin, Valle de Güimar Designation of Origin, Tacoronte Acentejo Designation of Origin, La Palma Designation of Origin, La Gomera Designation of Origin, Gran Canaria Designation of Origin, El Hierro Designation of Origin and Abona Designation of Origin. As highlighted by its Technical Team, “presence of Canary Island wineries at the National Trade Fair on Wine has helped their growth, as it has been possible to reach business agreement with very relevant exporters in a diversity of countries”. Also, and along the same line as the other designation of origins that were consulted, they highlight “the level of professionalism of those attending and the possibility of opening-up new markets and consolidating those that already exist”, for the wineries that will be coming in this year. These assessments made by some of the designations of origin that will be present at the upcoming edition of FENAVIN are “very satisfactory” in the opinion of the trade fair’s Director, Manuel Juliá, just two months before its opening, “and this despite the fact, that quite unusually, the organization has not made any publicity campaign in national media groups, another piece of proof that the wineries want to join us because they know full well that the trade fair actually works”. In Juliá’s opinion this positive reaction of the country’s wineries “responds to the highly serious and professional work that has been carried out since the year 2001, which grants even more value to business than to other actions of high impact, although not quite as sound. This does not mean –he adds- that we do not understand that relating wine with personalities of social prestige is an excellent marketing task to improve the image of wine in its whole”. 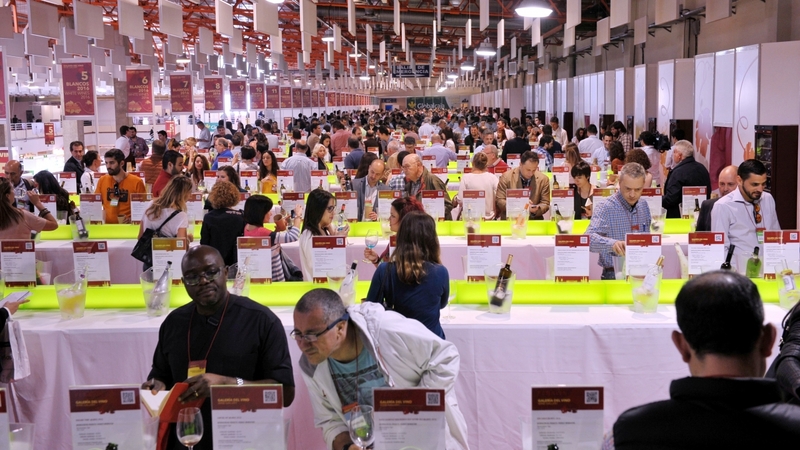 It must be recalled that FENAVIN 2017 closed its doors with 1,802 wineries showing interest in displaying their wines to buyers from almost 90 countries from around the world, while this year the number will be even greater, with presence of almost 2,200 wineries. Also the exhibition space has grown, with two new pavilions that will carry poets’ names, Li Bai and Hafiz, another sign of the trade fair opening wide its doors to the entire world.